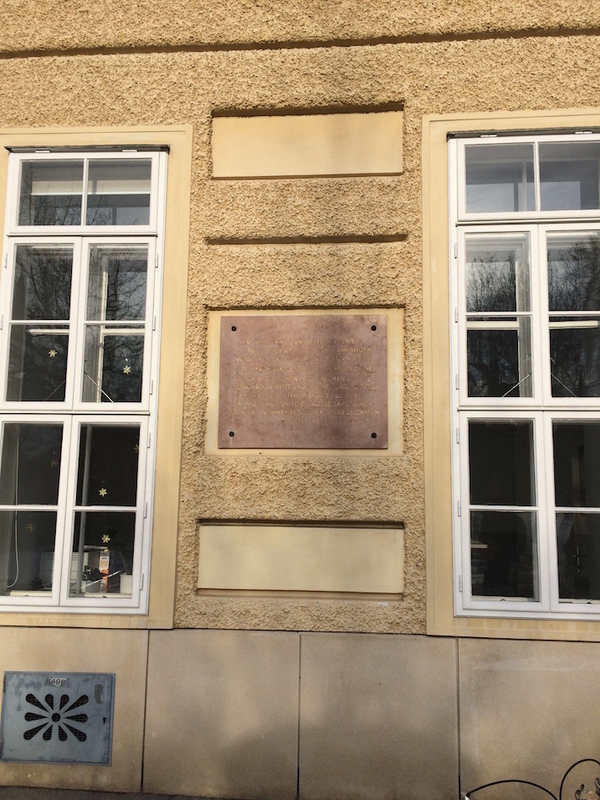 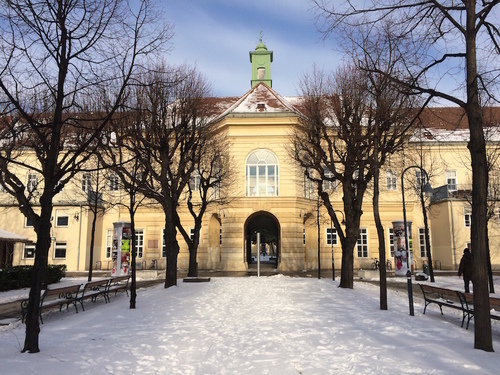 A memorial tablet of Leopold Schönbauer, abdominal surgeon and neurosurgeon of the Old General Hospital in Vienna, can be found in one of the secondary courtyards. 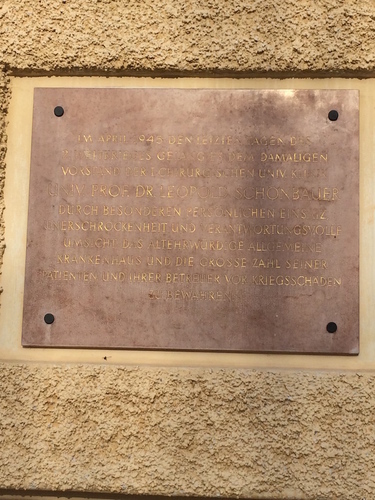 The German inscription on the marble tablet reads as follows: "IM APRIL 1945 DEN LETZEN TAGEN DES / 2. 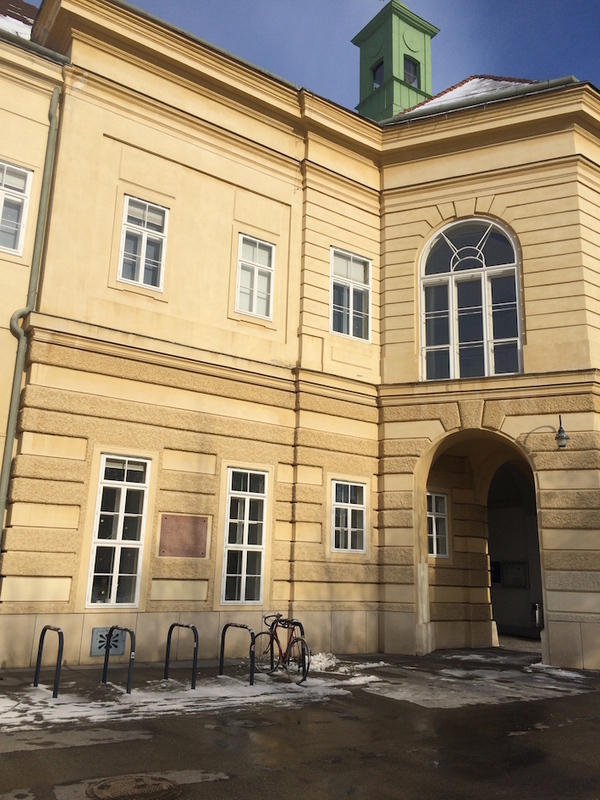 WEITKRIEGES GELANG ES DEM DAMALIGEN / VORSTAND DER I CHIRURGISCHEN UNIV. KLINIK / UNIV. PROF. DR. LEOPOLD SCHONBAUER / DURCH BESONDEREN PERSONLINCHEN EINSATZ / UNERSCHROCKENHEIT UND VERANTWORTUNGSVOLLE / UMSICHT DAS ALTEHRWURDIGE ALLGEMEINE / KRANKENHAUS UND DIE GROSSE ZAHL SEINER / PATIENTEN UND IHRER BETREUER VOR KRIEGSSCHADEN / ZU BEWAHREN" ("In april 1945, in the last days of World War II, the director of the University surgical clinic of that time, University Professor Doct. 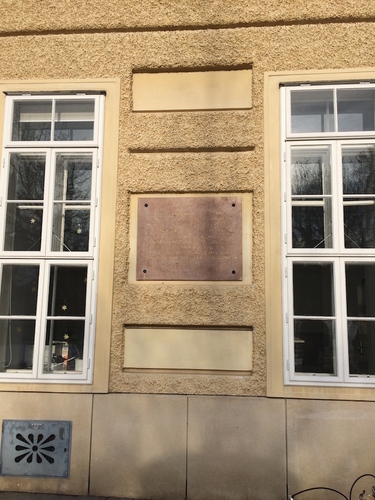 Leopold Schönbauer was able to safeguard the venerable hospital, as well as most of his patients and assistants from the damage of the war, thanks to his personal intervention done with intrepid and responsable carefulness").